Another week another Makeup Revolution buy, I think I may have a small problem! But can you blame me? I have yet to be disappointed with any of their products… and believe me I’ve bought and tested a lot over the past couple of months. So why is Makeup Revolution so popular? Budget beauty brands like MUA, e.l.f and Sleek are becoming increasingly popular in the beauty world thanks to their tiny prices and easy accessibility. Makeup Revolution had taken this a step further by producing products of such high quality they are being compared to many high-end premium brands such as Urban Decay. Many of their gorgeous eyeshadow palettes are being described as dupes for others retailing for nearly quadruple the price! Unlike other ‘budget’ beauty brands Makeup Revolutions packaging is sophisticated and sleek in gold and black, allowing itself to blend into your makeup collection and not stand out as ‘cheap’ or ‘budget’ – even though it is – but in a good way! Today I’m looking at my two new buys – the Conceal and Cover palette in light/medium and Ultra Blush & Contour Palette in Sugar and Spice. So I originally went to Superdrug in the hope of buying their Radiance Highlighter Palette or I ♥ Makeup Naked Chocolate Palette but unfortunately there was no sign of them, but I did leave with these two beauties instead. I would have preferred the Ultra Blush in All About Pink but once again they were all sold out – I have to start ordering online! The signature look black palette contains 8 easy to blend and highly pigmented shades consisting of shimmer and matte blushers, contours and baked highlighter powder with a full sized mirror. The shades range from nudes, hot pinks and corals. 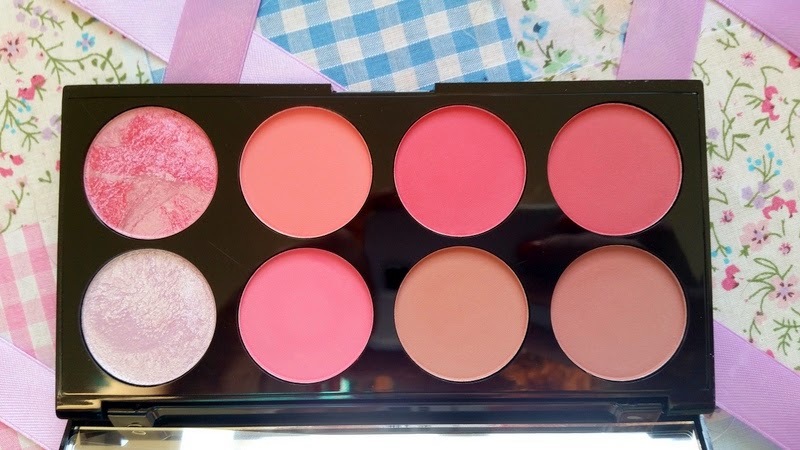 I really love the peachy coral number (second from the top left) as it gives a lovely fresh glow and when used with the baked highlighter your skin is sure to be left radiant. The blushers are soft, almost creamy to apply, super easy to blend, don’t crumble at the slightest touch and are extremely lightweight. The Ultra Blush & Contour Palette retails for just £6. 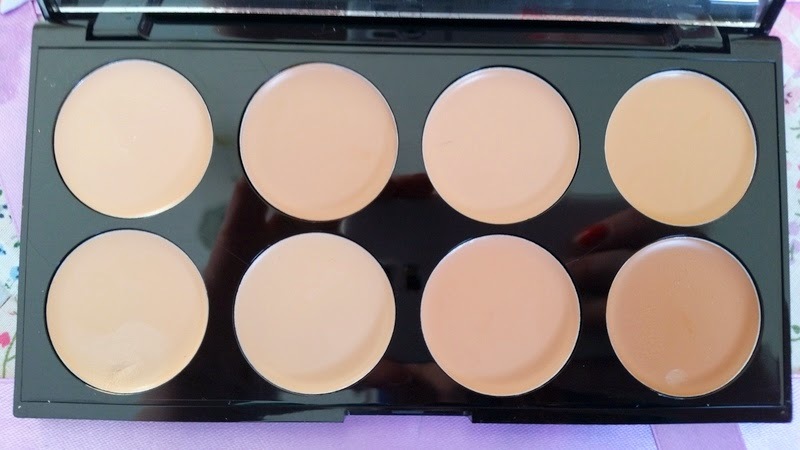 The Conceal and Cover palette is available in light, light/medium and medium/dark and retails also for just £6. The concealers are very creamy and sink into skin like butter. At first I thought they might be slightly oily but once applied this couldn’t be further from the truth. They are extremely blendable and I love how I can mix and match colours depending on the area or blemish I’m dealing with. 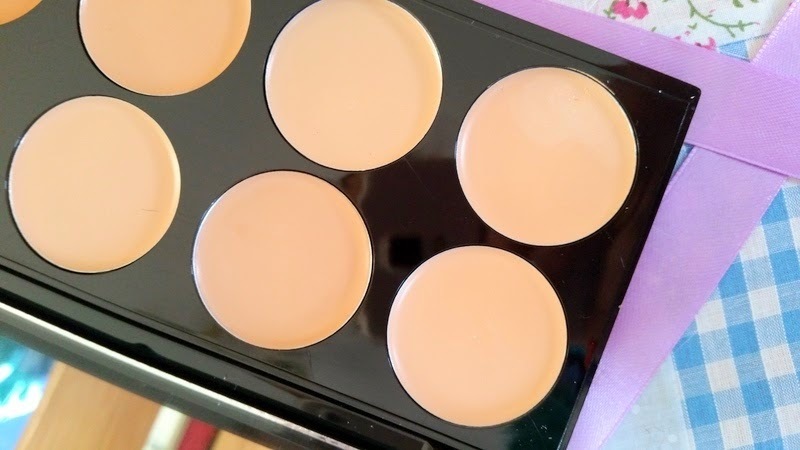 Using a combination of concealers helps my skin look less patchy as I prefer a lighter shade for under my eyes than I would if I was covering a blemish on my chin. This works well on my combination skin and helps to hide my main problem areas which are; the discolouration on my chin and around my nose, the veins above my eyes and the tiny blood spot on my chin. So that’s my thoughts on my two new gorgeous bargain beauty palettes from Makeup Revolution. Have you tried them? What did you think? Please leave a comment below and don’t forget to follow me on bloglovin to stay up-to-date with all my latest posts. "Beauty | Top 10 Beauty Box Samples"
"Beauty | bareMinerals – Mineral Veil Finishing Powder & Blush"